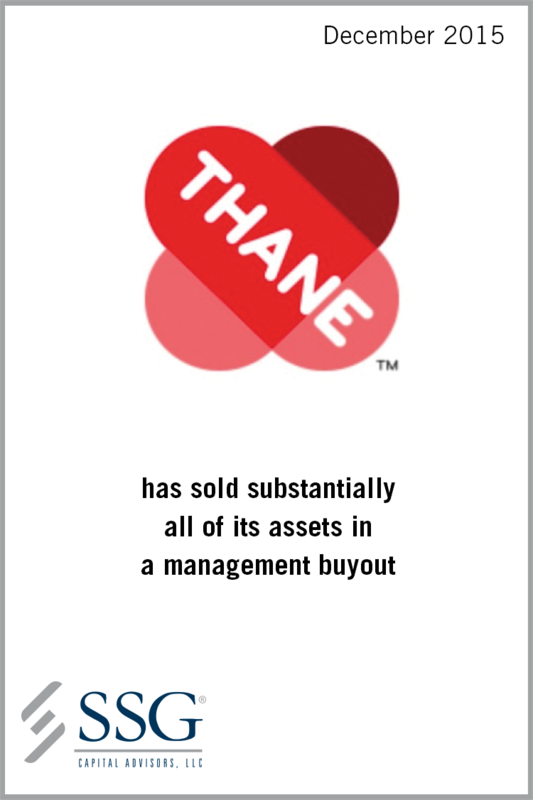 Thane International, Inc. (“Thane” or the “Company”) operates as a global, multichannel media and direct-marketing enterprise with a focus on the sale of unique consumer products. The Company airs direct response television (“DRTV”) programs to generate revenue from product sales and has access to hundreds of thousands of hours of media time. The Company develops compelling promotional programs with global appeal for consumer goods in the houseware, health, beauty and fitness sectors. Thane is a fully integrated consumer products company, with the ability to develop, manufacture and distribute its products to its domestic and international customer base. With strategically located global facilities, the Company maintains a worldwide distribution platform that spans millions of consumers in over 100 countries. Thane’s performance was challenged by the transforming media and retail landscape, combined with changes in consumer behavior. In response to the Company’s challenges, management implemented initiatives geared towards transforming Thane by leveraging its expertise in television marketing to drive a multi-channel strategy through traditional retail channels and maintains access to over 10,000 stores in a number of countries. In order to continue this transition, the Company required a transaction that would help strengthen its capital base for future growth. SSG was retained as Thane’s exclusive investment banker to explore strategic alternatives, including a potential sale of the Company. Leveraging its prior transactional experience in the consumer products sector as well as its relationships with consumer product and special situation-oriented private equity firms, SSG conducted a comprehensive marketing program which resulted in a competitive bidding process for Thane. The Company was ultimately sold in a management buyout. The sale was effectuated through a Canadian receivership proceeding and was approved by the U.S. Bankruptcy Court through a Chapter 15 bankruptcy filing on December 1, 2015. The transaction closed on December 18, 2015.